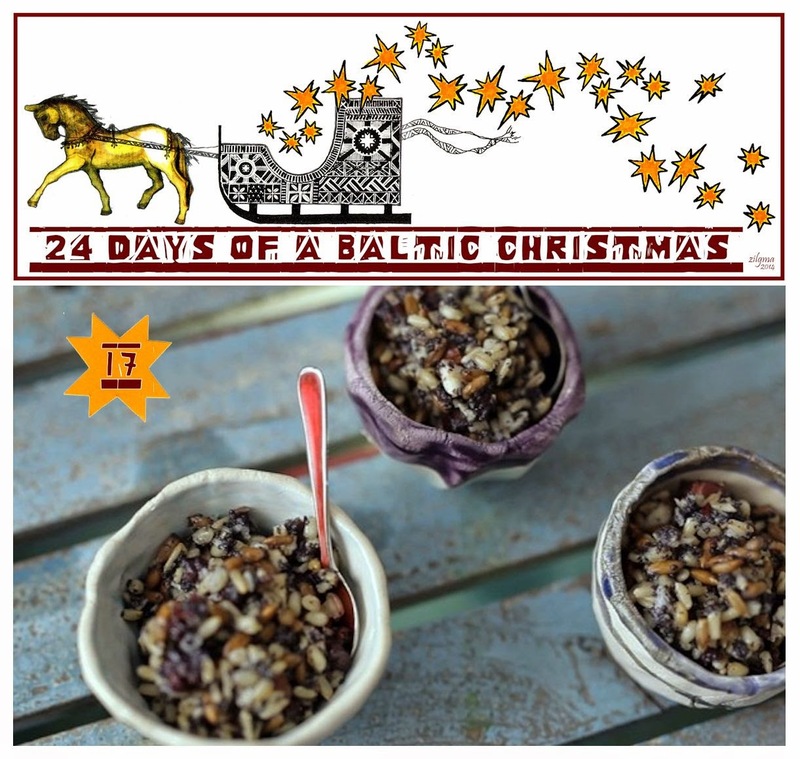 Day 17 of 24 Days of a Baltic Christmas features a recipe from the website Beata’s Kitchen (in Lithuanian, Beatos Virtuve). Mano šeimos receptas, tradicinis Kūčių patiekalas ir geriausiais šios šventės desertas su grūdais, spanguolėm, medum ir aguonų pienu. If the video below does not appear on your device, it can be viewed on Beatos Virtuve here. **Groats are the hulled kernels of various cereal grains such as oat, wheat, and rye. Groats are whole grains that include the cereal germ and fiber-rich bran portion of the grain as well as the endosperm. *** Old traditions dictate that no animal products be consumed on Christmas Eve, hence the poppy milk. Milk may possibly be substituted, although instructions on making poppy milk can be found here. Tomorrow on 24 Days of a Baltic Christmas we return to Latvia with Heather Garbes on Christmas music! Hello There, I enjoyed your post today, and all of the others. I am learning so much. Never heard of groats. Sorry I haven’t been around much lately. I do try to read blogs—but just haven’t commented very much lately like I usually try to do. Please don’t give up on me. Hopefully my life will be back to ‘normal’— whatever that is (ha), sometime in January.